New Hampshire personal injury lawyer John Tenn praises the generosity and fortitude of Baltimore Ravens wide receiver Torrey Smith. Smith established a scholarship in memory of Tevin Jones, his brother who died in a motorcycle accident. The scholarship is called The Tevin Jones Memorial Scholarship Fund. “Tevin Jones died doing what he loved. Providing a scholarship is a kind and special way to keep his memory alive,” said Tenn.
Jones was riding his motorcycle and wearing a helmet when he veered off the road and crashed into a utility pole. It was a single-vehicle crash and alcohol was not a factor, reported CBS. Tenn, a founding member of Tenn And Tenn, P.A., has been riding motorcycles for many years and he understands both the joys and the dangers. “Motorcycles offer much less protection than other vehicles. Cars have steel cages, seatbelts and airbags that are useful in collisions while motorcycles have none. Tragically, Jones died even though he was wearing a helmet. Helmets save many lives, but they can’t prevent all deaths and serious injuries,” said Tenn.
A variety of different factors can contribute to a motorcycle accident including weather, inattentive car drivers, road defects, motorcycle defects and reckless driving by another motorist. 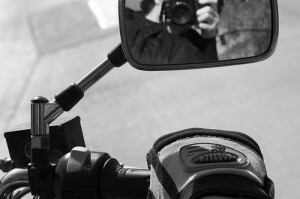 According to the Governors Highway Safety Association (GHSA), 26 motorcycle riders were killed in New Hampshire between January and September 2010.